Our school participates actively in the Life Long Learning Program of the European Union with one Grundtvig and one Comenius project. We have already completed 5 Grundtvig programs of SOCRATES and of the Life Long Learning Program for Adult Education. Our goal is to maximize our interaction with the European environment on topics related to adult education and lifelong learning. 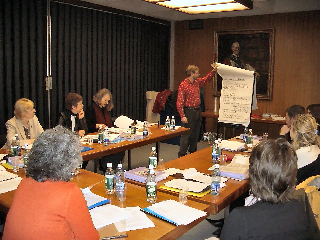 Several completed Grundtvig-1 and Grundtvig-2 programs are described below and they include innovations such as student-centered learning, studies of local culture, a resource center for autonomous learning through the internet, and entrepreneurial games and art-therapy as means of obtaining basic skills. Also, three teachers of our school have won Grundtvig-3 fellowships from the Greek National Agency IKY.